Upon graduating from the University of Wisconsin, Dr. Myron Kellner earned his Doctor of Dental Science Degree from the New York University, College of Dentistry. He entered private practice in 1971,after serving two years at the U.S. Naval Training Center. Staying in the forefront of his field has always been a high priority for Dr. Kellner. In recognition of having completed over 2,000 hours of advanced training, he achieved a fellowship and mastership in the Academy of General Dentistry. Additionally, he completed a 350-hour comprehensive program in implant dentistry at Howard University, as well as eight levels at the L.D. Pankey Institute: one of the world’s most advanced educational programs for dentists. In 2014 Dr. Kellner was elected a Fellow of The Pierre Fauchard Academy. 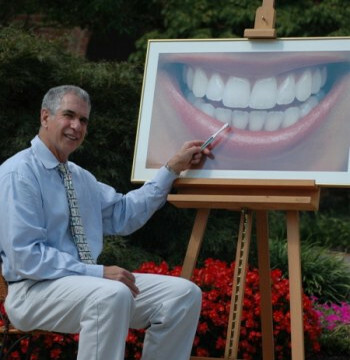 Dr. Kellner has dedicated his practice to informing and educating his patients about conservative cosmetic dental techniques that will have a positive impact on their appearance and self-confidence. A consummate professional, he is always responsive to his patients’ needs and concerns, and is firmly committed to providing excellent dental care in a non-threatening and comfortable manner. His dedication to the advancement of dentistry is especially evident in his participation and leadership in both local and national dental organizations. A past president of the Maryland Academy of General Dentistry, he is an active member in the Academy of General Dentistry, the American Dental Association, the American Academy of Cosmetic Dentistry, the American College of Dentists and the L.D. Pankey Alumni.